The main headache of any vacation is packing. This headache can become more horrible if you are packing for your kids too. We are here to make it easier for you with these tips from experienced travellers who have spanned the country in various luxury trains India routes. Are you ready for some easing out tips for packing? Decent clothing is allowed inside the train. Pack comfortable cloths. You would have lunch in a couple of luxury hotels and palace hotels. Thus, a few formal wear would be better. Type of clothing depends on the season that you plan for India Tours. Winters are mildly cold in the morning and can be very cold at night. Early summers can be a little hot. Rainy season does not bring very heavy rain but, you might get wet every now and then. Shoes and comfortable footwear are very essential as you would be doing a lot of walking around. For safari and bird watching, thick shoes and socks would be comfortable. You need dull coloured clothing to blend with the environment. Camera, video camera, binoculars and others would come handy at various places during this vacation. There is an electronic safe in each and every cabin but, to be safe and relieved, it is better to limit carrying expensive jewels with you during travel. There is laundry option in the train and thus, it is not mandatory to carry many cloths during your travel. There will be a paramedic inside the train but, it is essential to pack all necessary pills and other medical needs with you. Use soft topped luggage and stick to airline baggage limitation as there would be limited space for storing your belongings in the cabin. Baby food and formula would not be available inside the train. Thus, it is better to stock up. The same goes for diapers and other baby needs too. You can also buy those while you are in the middle of sightseeing but, to be on the safer side, pack as much as possible. Sanitation in India is not very high in all places. Carry a liquid hand sanitizer with you always. 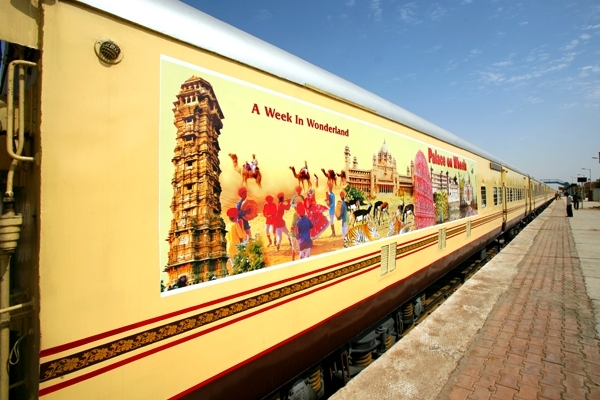 Do not pack up your bag up to the airline requirements as you might be bringing back a lot of things along with you from your shopping experience in India and also from the souvenir shops inside Palace on Wheels Train. Always keep your ticket registration form and passports in a place where you can take them out without any chaos. You would be requested to present those papers numerous times during your travel. Pack sensibility so that you can enjoy the whole trip without any worries.